The separate initiatives were approved by the college’s Board of Trustees recently as part of RCBC’s new College Head Start in High School, or CH2, initiative aimed to reduce the time and cost required to attain a college degree. CH2 also includes the existing College Acceleration Program (CAP) in which high school students earn college credit through high school instruction, and traditional dual enrollment by which high school students receive permission to take RCBC courses outside of their regular school day. Eligible BCIT students can enter the program, the Electronic and Computer Engineering Technology Academy, and earn more than 30 credits, or more than halfway toward an associate degree in Electronics Engineering Technology. RCBC courses will be offered on BCIT’s Medford campus allowing students to complete their high school degree while starting their college degree at a much lower cost than at a four-year college. Students in this program can graduate from RCBC one year after their high school graduation. Students interested in learning more about the program can contact BCIT Director of Admissions Dr. Erin Conti at (609) 267–4226, ext. 8245 or admissions@bcit.cc. The partnership still requires approval from BCIT’s Board of Education, which is scheduled to consider the measure later this month. RCBC is one of about 100 community colleges in the nation accredited by the Accreditation Board for Engineering and Technology (ABET) and Rowan University’s Mechanical Engineering program was ranked in the top 10 in the U.S. News & World’s 2015 report for ABET-accredited programs whose highest engineering degree offered is a bachelor’s or master’s. Burlington County Freeholder Director Bruce Garganio called the new path from BCIT to RCBC a perfect example of how county agencies should work together and share services. 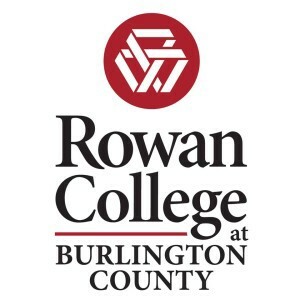 Separately, the RCBC Board of Trustees approved granting a 25 percent tuition discount to high school students taking 15 courses identified as ones that have had excess capacity and are applicable to degrees at RCBC, Rowan University or other colleges. High school students interested in the online discount may contact RCBC’s Office of Outreach and Admissions (formerly Enrollment Services) at (856) 222–3911, ext. 1199 or admissions@rcbc.edu. — Business (Personal Finance and Money Management, Small Business Management). — Criminal Justice (Police Operations and Procedures, Introduction to the Correctional System, Introduction to Court Systems, Criminal Investigation and Legal Rights of the Convicted). Education (Historical Foundations of American Education). Politics (American Government and Politics, State and Local Government, and Comparative Government and Politics). RCBC is on schedule to be the first community college in New Jersey to offer junior-level courses in January. The New Jersey Presidents’ Council approved the program earlier this month and the Middle States Commission on Higher Education is expected to provide input in July. Psychology and law and justice will be among six initial offerings in 2017. Other programs include liberal studies, biology, general studies and nursing. This initiative is one of Money Magazine’s top five tuition-discount programs in the country. To learn more about CH2 more please visit rcbc.edu/CH2. To learn more about why “‘3+1’ is so much more than four,” visit rcbc.edu/rowan/3plus1.